2018 Policy Address public consultation has been closed. The Chief Executive has already delivered the 2018 Policy Address on 10 October 2018. 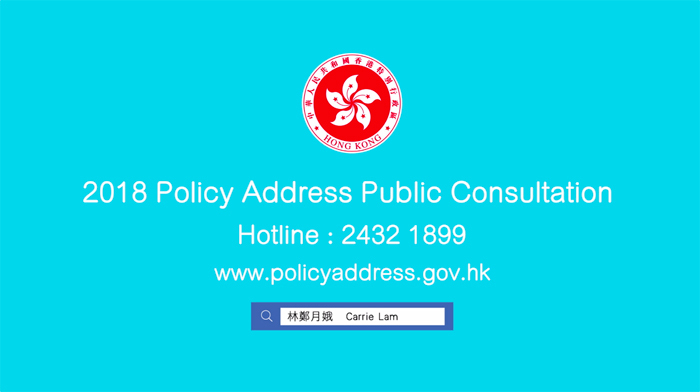 The full text is available at policyaddress.gov.hk.